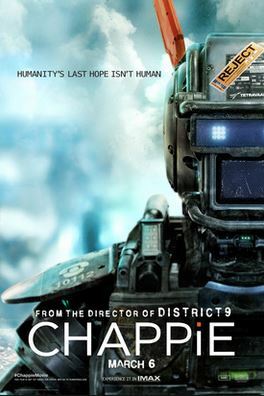 Here comes the elevator pitch for Chappie; it’s Three Men and a Baby meets Short Circuit via Robocop minus the satire. Bonkers, right? Co-writer and director Neill Blomkamp’s latest low socio economic sci-fi film is a wild, often out of control, swing at parenthood. In the near future, to reduce the high crime rate in Johannesburg, the South African police force purchase a mechanised police force from weapons manufacturer Tetravaal. Engineer Deon Wilson (Dev Patel) is the mastermind behind Tetravaal’s automated robotic force while a rival co-worker, Vincent Moore (Hugh Jackman), warns of the dangers of the drones and pushes his human operated mechanised drone as an alternative. When Wilson gives a damaged robot experimental new programming to give it the ability to think and feel, Chappie (voice and motion capture by Sharlto Copley) is born. 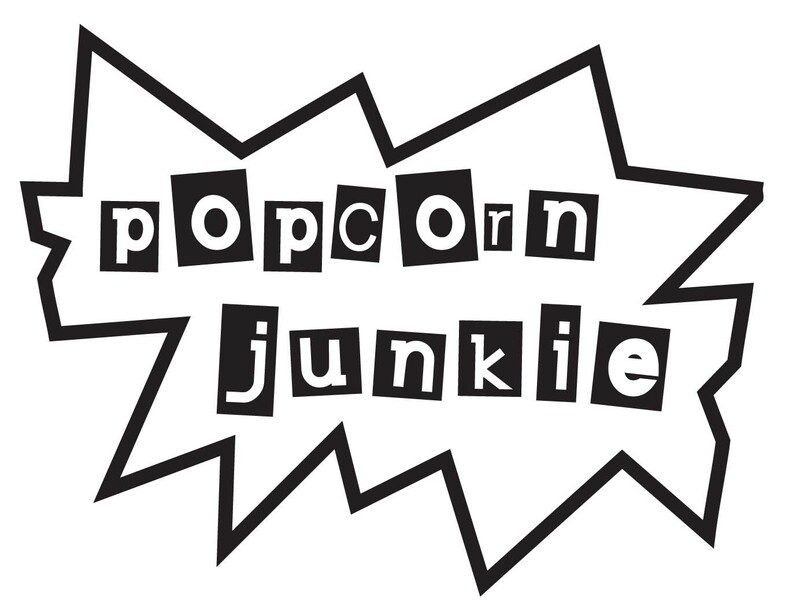 A group of gangsters, Ninja (whose name is actually Ninja), Yolandi (Yo-Landi Visser) and Yankie (Jose Pablo Cantilla), kidnap Wilson and threaten to kill him unless he gets Chappie to assist with a heist to help repay a debt to a powerful gangster (Brandon Auret). The subtext about parenting and nature verses nurture blatantly bobs on the surface of Chappie but there’s enough substance to make the robot’s brush with consciousness engaging. Chappie’s awakening starts out with the robot in a child-like state, and the surrogate family is its only guide to the world. Wilson is the creator who acts like a distant biological father to Chappie, there’s even a possible sperm donor parallel here, especially in the age of IVF. Ninja acts like an abusive step-father, Yankie is the oddball uncle, and Yolandi is the mother with nothing but unconditional love for Chappie. Blomkamp and co-writer Terri Tatchell show how Chappie mirrors the behaviour of its ‘parents’ and the cruelty of a world losing touch with its humanity. In one scene, Ninja tries to teach Chappie a lesson by abandoning him in a local slum where a group of teenagers set Chappie on fire. In the next scene, Chappie is on the way home when Moore pulls him into the back of a Tetravaal truck to remove a piece of hardware and then cutting off a robotic limb. Blomkamp shoots the sequence in an invasive way that shows Chappie being held down and violated by a pack of men. It’s an unsettling moment that becomes stranger when you consider that you’re witnessing the molestation and loss of innocence of a sexless robot. Despite the superb effects, motion capture, and production design that brings Chappie to life, the character is a little lifeless in execution and come across more like a robotic version of Forrest Gump, never passing the adolescent stage despite the promise of an ability to learn rapidly and access the Internet for knowledge. These are morsels that fall through the tiny holes in Blomkamp and Tatchell’s script. Chappie does eventually get away from Blomkamp and Tatchell as it spirals out of control with a series of false endings in search of a happy one, and a solid meaning to settle on once the chaos has settled. Despite the follies of the narrative, the action is brutal and fast paced with a style reminiscent of Luc Besson’s Lucy and The Fifth Element, but with the urban punch of Blomkamp’s District 9 and Elysium. Cinematographer Trent Opaloch captures the urban slum environments in all their sooty glory with bursts of colour from the neon and gold plated armoury of the gangsters; it’s a blend of grime, bullets and bubble-gum. An added bonus is a Hans Zimmer’s score that sounds nothing like a Han Zimmer score. Hugh Jackman’s kaki wearing, Crocodile Hunter inspired villain is the best thing he has done in years and there are so many oddities built into the performance to make it memorable; the haircut, the shorts, and the companionship of a rugby ball. Visser and Ninja add a lot of flamboyant aggression that falls away to reveal a surprising amount of tenderness as they embrace their roles as surrogate parents. A constant scene stealer is Auret who brings back the thuggery of a beefed up 1980s action flick bad guy perfectly. Chappie is shambolic at times but Blomkamp adds substance to the absurd and creates another scrappy sci-fi frolic. ‘Shambolic’ is a good description of this movie. Man, it was a disappointment.